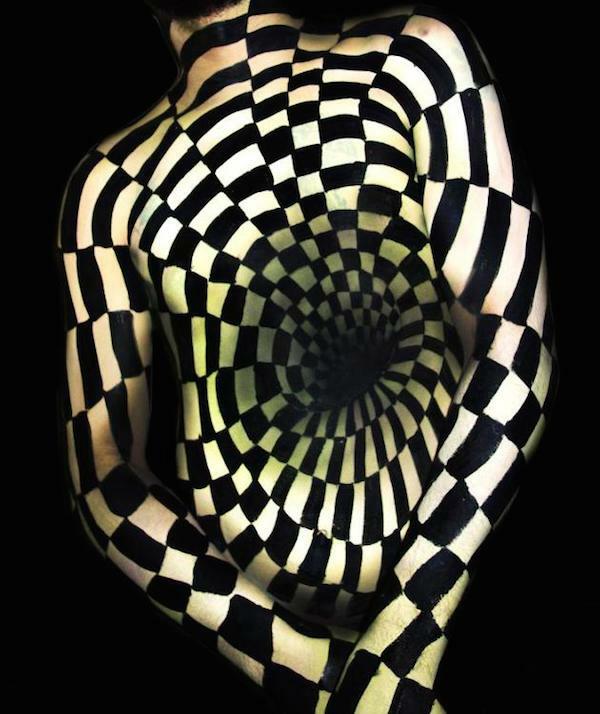 Body artist Natalie Fletcher has created a series of mind-bending body paintings. 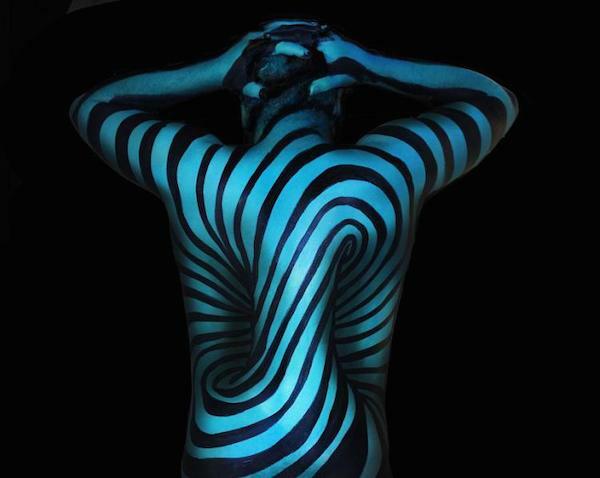 Using an airbrush, Natalie plays with lines and repetitive patterns to create three-dimensional illusion of the body curving inwards, and an image of the heart “popping out” from the chest. She has currently embarked on a project titled ‘100 Bodies Across America’, painting two bodies in each state of the U.S, over the next six months. Hop on over to her website to see more of her works.